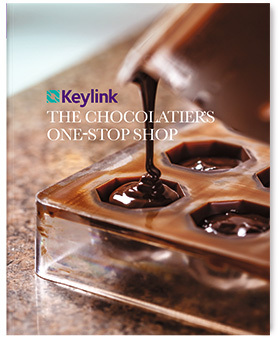 Keylink is the chocolatier's one-stop shop for all the everyday and speciality products that a professional chocolatier needs, from chocolate and ingredients to packaging and machinery. And all with a helping of inspiration! 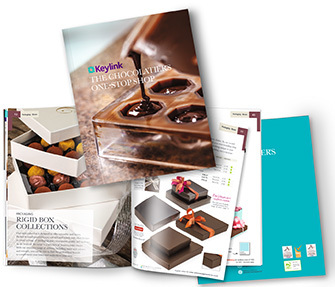 You can download a pdf copy of our latest catalogue or alternatively buy a printed copy with over 320 pages of everything you need for your chocolate work. Free Version - Simply add to an order you are making and it’s free! The newest way to view our new catalogue - simply click the cover and browse through all 324 pages. As true explorers, we’ll take you with us on an expedition through our wonderful winter world. Put on your chef’s apron, sharpen your senses and be inspired by our five professional guides: our chefs. 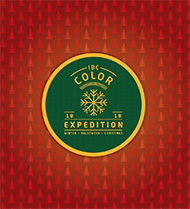 Take a colorful expedition through three themes brimming with ideas to help your customers through the winter. Each guide opens up a world of inspiration featuring fresh patisseries, cakes, pralines, biscuits, ice cream and much, much more. They also juggle our 3D Christmas baubles, combine new designs and introduce you to our prints about taste. As the icing on the cake, you can discover our latest innovations: artisanal chocolate leaves and the amazing Flavor FlowersTM. Are you ready to astound your customers this winter? Be amazed, fill your recipe book with new ideas, and most of all, get started as colorfully as possible! 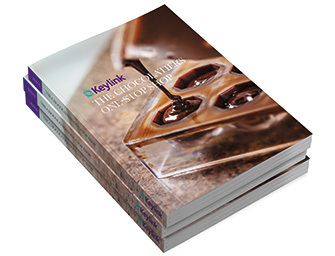 Any items you don't see in the Keylink catalogue, please contact our Sales Team for pack sizes, prices and availability. Specialised in food colour and decorations, IBC’s Color Cuisine™ provides the right knowledge and products to make your creations stand out. The Color Cuisine™ is an inspirational range based on easy-to-use techniques and powerful products, in which everyone who loves to cook finds that extra touch for any creation. 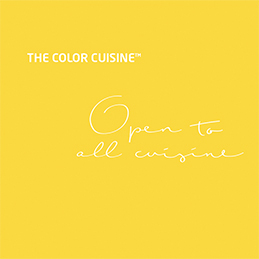 From established restaurateurs to passionate amateurs, from appetisers to desserts, The Color Cuisine™ opens its doors to every kind of chef, prompting them to join, shop, connect, share and inspire.